App Store is loaded with thousands of applications in many categories. You can choose any application and install them right away if they are free or purchase the apps before installing. Moreover, you are free to uninstall the application whenever you feel that you don’t need it anymore. 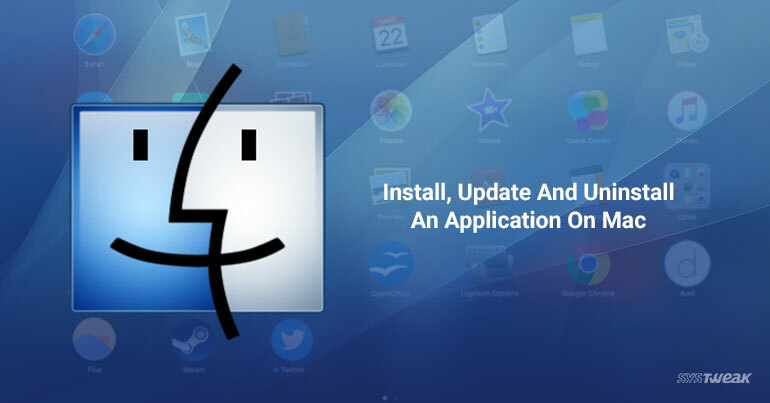 In this article, we will walk you through a step by step guide to install, update and uninstall an application on a Mac. Go to App Store, search the app in its categories such as Games, Photon & Video and more. Go to the application. Buy and download apps from the Mac App Store. Once the app is downloaded, apps are automatically added to Launchpad. If you want to install apps from a disc, insert the disc into your computer’s optical drive and follow the on-screen instructions. If you want to install apps downloaded from the Internet, double-click the disk image or package file to open it, then follow the onscreen instructions. App Store always notifies when updates for a native application or for the app that you purchased is available. In the App Store toolbar, click Updates. To manually check for application updates, choose Apple menu (Apple Icon)- > Software Update. Hold down an app’s icon in Launchpad until all the icons begin to shake. Now all the apps would have a cross sign on the top left-hand side corner. Click on it to uninstall an app. If an icon doesn’t have a delete button(Cross sign), it can’t be uninstalled. For example, native applications like Settings. Choose Finder > Empty Trash. This action will permanently delete the app from your system. So if you have second thoughts, you can restore the app. In this way, you can install, update and uninstall an application on Mac and iOS.